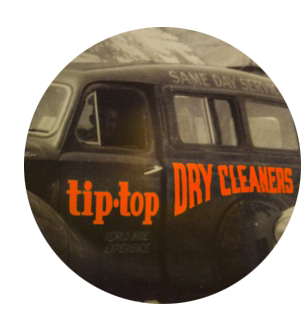 Tip Top Dry Cleaners was first opened in 1953 in Gray Street, Adelaide by Antoine Nemer. Antoine Nemer pioneered same day service when most other dry cleaners had a 7 day turnaround. Independent market research is regularly conducted for Tip Top Dry Cleaners and customer feedback is especially welcomed. This valuable information has resulted in improvements in the way we operate our dry cleaning business. For instance, our busy customers required conveniently located stores that offered a genuine 90 minute service and a place where any repairs or alterations can be made. Constant training has improved the skills of our personnel to a level above that offered by our competitors. Our experience is that well skilled staff working in safe, pleasant surroundings that enjoy good two way communications with management are more likely to go that extra mile for the benefit of all. It is with great sadness that we announce the passing Mr Antoine George Nemer, the founder of the Tip Top Dry Cleaners PTY. LTD. 1925 – 2016, Aged 90 years old. He worked right up until his passing. Although he will be sadly missed by family, friends, staff and his valued customers, please be assured that the family legacy he has left us will continue and his wishes that our customers remain our top priority and will never change.